Mr Cui Tiankai, China’s ambassador to the USA. 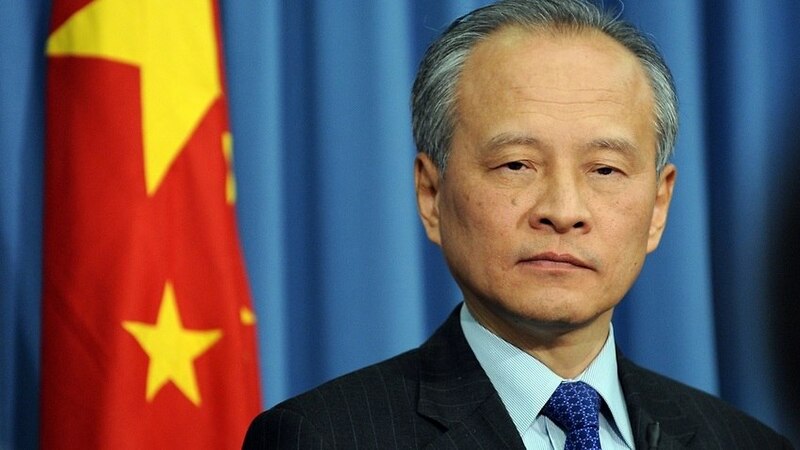 (TibetanReview.net, Oct05, 2018) – As a reciprocal access to Tibet bill gets ever nearer to becoming law, China’s ambassador to the USA, Mr Cui Tiankai, has made a patently false claim that foreign visitors to Tibet were being limited because of the region’s very high altitude, environmental consideration and harsh climate. The truth is China has no limit on the number of visitors for tourism, but only on foreign journalists, research scholars and diplomats who, though few in numbers, are effectively banned because they seek to find out about what it conceals or lies about the Tibetan people’s real situation there. During a lengthy interview, host Steve Inskeep of the Morning Edition program of the US broadcaster NPR has asked ambassador Cui whether China was willing to display greater openness to scholars with views deemed unsavory by Beijing or journalists who wanted to visit places such as Tibet. And his response was that while mainland China was “open” to these people, the situation was different with regard to some places like Tibet because of its very high altitude, fragile environment and very tough climate. “We should have some limit on the number of people outside visitors every year. Otherwise the burden on the environment will be too heavy… If we can take good care of all these things we certainly welcome American visitors to go there,” wfae.org quoted Cui as saying. And yet China’s official Xinhua news agency had reported on Jun 1 that the Tibet Autonomous Region government was aiming for 30 million visitors by the year 2020, having received a record 2.7 million tourists in the first four months of this year, belying all claims about the reasons for limiting visitors stated by Mr Cui. China does not impose restrictions on the number of non-Chinese foreigners visiting Tibet; it only requires such tourists to obtain special permits – which are easily obtainable through registered Chinese tour operators – and to travel in groups. Cui has added that the Chinese government was in the middle of organizing a visit by Terry Branstad, the American ambassador in Beijing, to Tibet. And when asked whether Branstad would be allowed to visit the Muslim-majority region of Xinjiang, Cui has said that while the entire country was open to the world, Xinjiang posed a particular difficulty because of terrorism, including groups that want to “create a situation like the ISIS”. UN human rights experts recently called on China to release the one million or so Uyghurs held in political education detention camps across the region. Cui has refused to either admit or deny the existence of these camps. He has, instead, toed the Chinese government’s line that Uyghurs were being re-educated to “learn skills” and to prevent them from adopting extremist ideologies.